A loss late in the season can destroy a teams playoff hopes. A loss late in the season against a team that was 0-13 is enough to make you think the team has a lot more issues than just trying to make the postseason. That’s the reality that the Titans and new coach Mike Munchak have to life with though today, as the Titans limp home after a shocking 27-13 loss to the formerly winless Indy Colts at Lucas Oil Stadium. The loss was a devastating blow to any playoff hopes the now 7-7 Titans may have had. 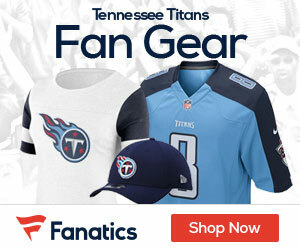 Had the Titans closed out the season with three wins, they likely would have reached the postseason. Now they’ll need to win their last two games and probably need help from other teams just to get in. Tennessee had nobody to blame but itself for this stumble. 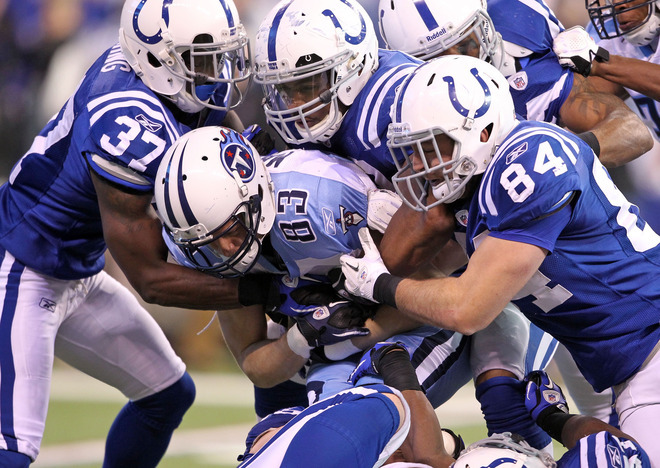 Matt Hasselbeck was picked off twice before being pulled in favor of rookie Jake Locker. Chris Johnson ran 15 times for 55 yards, as the Colts D stuffed him for most of the day. The Titans also lost a fumble and booted a kickoff out of bounds at their own 1. And even after rookie QB Jake Locker threw a 7-yard TD pass to Nate Washington with less than 4 minutes to go, they couldn’t wrap up the Colts. Colt QB Dan Orlovsky went 11 of 17 for 82 yards. On the first play after Locker’s TD pass, it looked as if the Titans had Donald Brown corralled in the backfield. But when Brown reversed field, Orlovsky threw a block that got Brown to the edge and Brown sprinted 80 yards for the game-sealing score. Brown finished with 16 carries for 161 yards. Sunday’s game had a totally different complexion from the first 13 for the Colts. They played with intensity, and from a physical standpoint they had the Titans on their heels. The Titans will be at home Sunday to play the Jaguars.